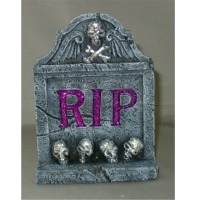 Tomb Stone (Halloween) RIP Tomb Stone (Halloween) UiG Brand Item Code: DSC00365 Made in China Sample available on request. Customer is to bear freight cost. Customer's own designs are welcome. Material : himalaya bule Size :OT 120 x 80 x 14 SO 130 x 20 x 14 Price : ?391-?430/stk. newsourcestone.com Standard export seaworthy package. Huian Mingxiang Stone Co., Ltd. Carving and polished. Wood packing as the good's size. Qingdao Dongxin Stone Co., Ltd.
granie tombstone : Product Information Place of Origin : Shandong, China Material : China Granite Finishing : Polished, Honed, Flamed, Sandblasted, Rough hammered, Bush hammered, Rough picked, Mushroom, Axe-cut, etc. and our edges finishing range has Eased, Beveled, Bull nose, Ogee, Cove, Dupont, laminated, non-laminated and etc. Edge : bevelled, bullnose, ogee, eased, etc. Tombstone board Size Available 900x500x60mm 800x400x80mm 1000x500x80mm 1200x600x80mm or as per your request Delivery Time : 20~25 days FOB port : Qingdao, China Payment terms : TT, L/C at sight. Outer packing: wooden crates inner packing: thick foam. Edge: bevelled, bullnose, ogee, eased, etc. 900x500x60mm 800x400x80mm 1000x500x80mm 1200x600x80mm or as per your request. Outer packing: wooden crates inner packing: thick foam. Short on time? Let tombstone sellers contact you. TTS-Stone Industrial Co. , Ltd.
We promise: 1) to meet customer's requirements totally; 2 ) to solve customer's questions carefully and timely; 3) to keep the customers informed during all the production ; 4) to check with the customer timely whenever there is something unexpected happened in the quality; 5) rate for qualified products is 98% or more; 6) photos for packing and loading will be taken to the customers. Weight limit: usually to european countries, we can load about 26 tons in 1x20' container (not including container weight); to american market, we usually load 18 tons. If there is some special request from the customers, the situation will be different. Packing:weight limit: usually to european countries, we can load about 26 tons in 1x20' container (not including container weight); to american market, we usually load 18 tons. If there is some special request from the customers, the situation will be different. Fumigation: for export products, every wooden crate from us is fumigated with ippc marks Shipping information: when the containers are shipped out, we will timely email the shipping information to our customers(about the loading time, container no., b/l no., destination, and estimated arriving time), and also email the related shipping documents (in, pl, form a, b/l etc) to help the customers track the containers Claim suing: when the container arrives to the customers, in case there are some broken pieces which can not be 100% avoided during the shipping etc, pls come back to us, we will solve all to make you satisfied. Our factory is an experienced manufacturer specialized in producing all kinds of tombstones and carving products according to the clients' requests.We adopt the newest technology and the most professional craftwork to provide our customers the best products. In addition our products are always with competitive prices. Further information is as follows: Material: granite,marble,or destined by our clients. Size: . Design independently for different requirement of various customers. Color: black,gray,red,brown,etc. Style: European,American,Chinese,Krean,Japanese,etc. Supply of material ability: more than 1 containers per week Delivery time: usually 15-20 days. Packaging Details Inner packing :Foam box Outer packing :wooden crate. Fujian Eastone Products Co., Ltd. Features: 1) Monuments and tombstones 2) Available in European, American, Australia, Japanese styles 3) Finishes:Polished, engraving, chipped, bush-hammered, chiseled, inlay craft and enbossment craft. 4) Size: 80*76*10, 100*20*10, 80*80*10,100*60*12, 91*76*10,122*76*15 ect 5) Top quality, best prices, highly reliable and timely delivery 6) Popular colors include absolute China black,Shanxi black,Fengzhen black,Mongolia black,Evergreen,Hebei red,gray,white,ect. 7) Packing: Standard export packing, Seaworthy wooden package 8) Export market: European, American, Middleeast, Russian, Southeast Asia, Japan, Korea. Tombstone Size:according customer of request making. Material:according customer of request with white , yellow, red, black, green marlbe or other marble. Sell finished marble fireplaces and accept orders for fireplaces with various specification, material and designs. Welcome for inquiries. Product list: Sculpture , stone carving, fireplace, table, chair, bathtub, flowerpot, column, marble Abstract, bathtub, fountain, horse, lion/marble/occidental , figure, ornaments, park sculpture, stone lamp, lavabo etc. Tombstone We can supply tombstones & urns with various material, shape, size and style... Wooden crate dimension depends on the size of products.